The day is coming when the price we pay for water will require us to protect the water we already have. This is already happening in Australia where in some areas the protection of water from evaporation is more cost effective than buying new supplies. As water supplies become increasingly scarce evaporation control on our ponds will become more important. Layfield’s REVOC Evaporation/Algae control cover is an inexpensive option to prevent the loss of precious water from ponds. 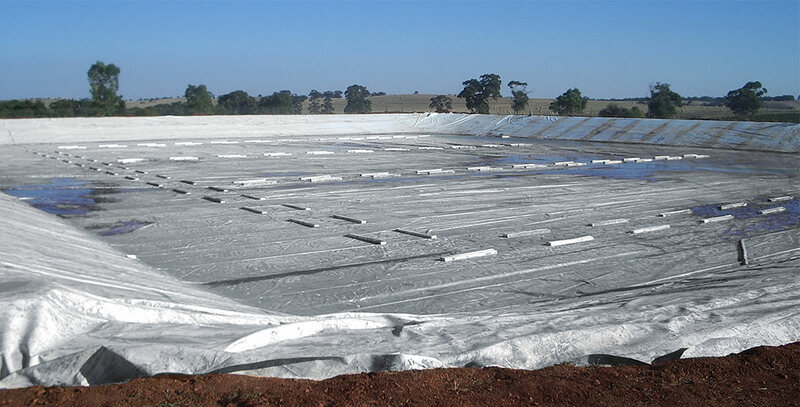 It is suited to agricultural and raw water storage applications where a low-cost cover is required. All of Layfield’s floating covers will prevent evaporation. Potable water floating covers such as our REVOC Defined Sump and REVOC Cable Tensioned cover prevent the evaporative loss of both water and chlorine. Contact your local Layfield office to see how an evaporation control cover can work for your pond.